This northern summer season, travellers enjoying MSC Magnifica's northern European adventures will be able to pedal their way through the region's enchanting landscapes and cities with the new fun and eco-friendly MSC Bike Experience. From 15 April to 1 September 2013, MSC Magnifica's diverse itineraries will offer cycle tours in various ports of call in Denmark, Germany, Iceland, Ireland, the Netherlands, Norway, Russia, Sweden and the UK. 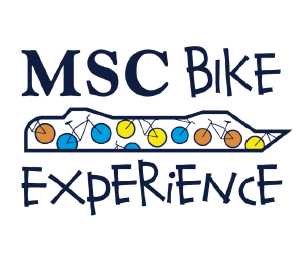 Bikes will be provided by well-known Italian bike brand Lombardo, whose technicians will train the MSC Magnifica crew to ensure that every bike on board is "shipshape" and ready to roll in each port. Inspired by the best sights, northern Europe's love of cycling and the region's many beautiful cycle paths, imaginative tours on offer include Spin The Spokes & Go Native In Amsterdam; Hamburg's Remarkable, Likeable & Eminently Bikeable; Biking Over the White Cliffs of Dover; The Scenic Stockholm Cycling Tour; Gourock, The Gantocks And Glorious Greenery: A Cycling Tour In The Key Of G in Greenock; Retrace the Steps of Russian Royals in St Petersburg and many, many more! Organized bike tours with fixed itineraries, a guide and technical assistance on hand have been designed for different levels of ability through various terrains, meaning that there's a suitable tour available for everyone, from the super sporty to those simply looking for a relaxing ride. What's more, it will even be possible to buy a bike on board, with new MSC bikes by Lombardo delivered directly to each traveller's home following the cruise at a competitive price. Summertime in northern Europe is the ideal season and location for a cycling holiday, and there's no better way to relax tired legs and unwind after an exhilarating cycle ride than on board state-of-the-art cruise ship MSC Magnifica. 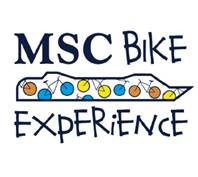 With her three swimming pools, five restaurants offering authentic Mediterranean and international cuisine, the sumptuous MSC Aurea Spa and numerous entertainment options for all ages, MSC Magnifica's MSC Bike Experience combines the very best that land and sea have to offer.